So you want to surf Escon eh? Well, button up your britches and get ready for an adventure. First your going to need a boat ride … or know someone well enough who lives there to let you into the private access beach area. Once you get there … it will make your Costa Rica surf trip like no other. First off, let me start by saying this is not a wave for beginners. #1 because a novice would have a high likelihood of getting hurt and #2, if the locals smell kook on you, they won’t let you take a single set wave. If you are still learning to surf, you might want to check out some Jaco Surf Tours & Surf Lessons before trying this spot. Escondida is a legitimate world class wave that works best from mid to low tide on the fall. But when massive swells hit … it works very well at high tide. The bottom is a shallow inverted V-shaped rock reef with a rock near the center of the formation that the main peak wedges up on. The shape of the bottom allows for both rights and lefts on most days, but on certain directions one side may work better than the other. Typically the left is a bit shorter, but very punchy; (usually hollow) good for getting barrels. The right is a longer, fast ‘A’ frame that can have a short hollow section when there is some real size. Whether you favor your backside or frontside, get ready because the wave moves really fast. It has a pitchy, jacking drop in, then you immediately have an explosion of water trying to chase you down. This wave is powerful and fast; visually, it is front-page magazine quality and gives you the ride of your life. When the tide starts getting low, the impact zone can get pretty dry … I myself have left more than a few chunks of my toes, feet, knees and elbows on the bottom of this spot. So this brings me to my next point. If you are used to exiting off of waves or even falling head first … when here at Playa Escondida, feet first or flat dismounts only. What a shame it would be to end a surf session looking like Harvey Dent. The best bet is to go to Herradura Bay, about five minutes outside of Jaco, Costa Rica and share a boat with a few guys. You can usually find a boat for between $15 and $20 per person that will ferry you out and wait for you on site or come back at a designated hour (use basic small spot etiquette; don’t show up with a crowd). Or … if you happen to have a pal that lives at Playa Escondida, you can borrow their pass and drive through the gated complex to the hidden gem! Either way, if you are an experienced surfer, when you travel Costa Rica you should put Playa Escondita on your to do list. Locality – Can Get Crowded, You may have to earn your way into the line-up. Get ready for one of the best waves you have ever ridden! 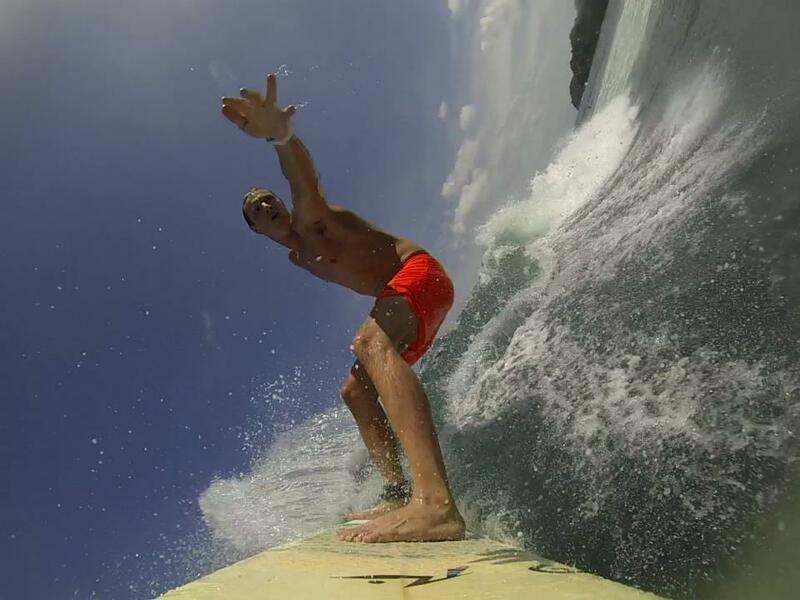 Playa Escondida makes your Costa Rica surf trip a world class adventure! If you considering taking a surf trip to Costa Rica in the near future, you can find some of the best Jaco Beach Vacation Rentals <– at this website.